OgilvyEntertainment, the entertainment marketing arm of Ogilvy & Mather, and celebrity chef Mario Batali have formed ccMF Productions, a new company that will create food and lifestyle programming aimed at millennials. And in a twist for OgilvyEntertainment, the TV and online content won’t be branded. For Batali, ccMF is just the latest extension of a business empire that includes restaurants, books, a charitable foundation, food and kitchen products and a retail store. Batali is quite the familiar face on TV as well, appearing on Food Network’s reality competition Iron Chef and ABC’s daytime talker The Chew; he also owns Via Alta Productions, which produces food prep shows. The mandate for ccMF will be to address broad topics and explore their impact on what we eat and how we live, according to Batali. Content will range from five-minute video clips and reality shows to long-form documentaries. Batali added that the programming will delve into the human component of food and food production. “Things that relate to how food is affected, how people feed each other, how they nourish each other and how they share their love,” he said. Food shows that tell a global story aren’t exactly new—especially those hosted by celebrity chefs. CNN airs Anthony Bourdain’s well-rated Parts Unknown, which looks at food through the lens of a city or region’s culture, customs and history. What might differentiate Batali’s programming is who it targets. To reach millennials, ccMF will feature young faces on its shows (Batali plans to be on camera only 20 percent of the time) and will tailor most content for online and mobile consumption. Talent will include new chefs at Batali restaurants, YouTube stars, bloggers and other experts, said OgilvyEntertainment president Doug Scott. Batali chose OgilvyEntertainment as a production partner because they’ve successfully collaborated before, such as last year’s online video series celebrating the 100th birthday of Hellmann’s mayonnaise. 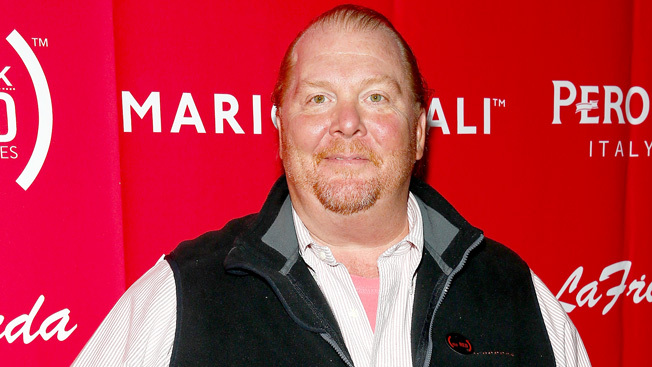 “[Ogilvy] knows what’s out there, what feels fresh, what is fresh,” Batali said simply. The feeling is mutual. Scott described Batali as a “cultural bellweather” and a highly regarded creative in the world of food and lifestyle.